Here is another technique that I haven't done in quite a while. I used the Sliding Door Framelits to create a template. I taped it down to the card base with washi tape and sponged Balmy Blue inside the rectangle. 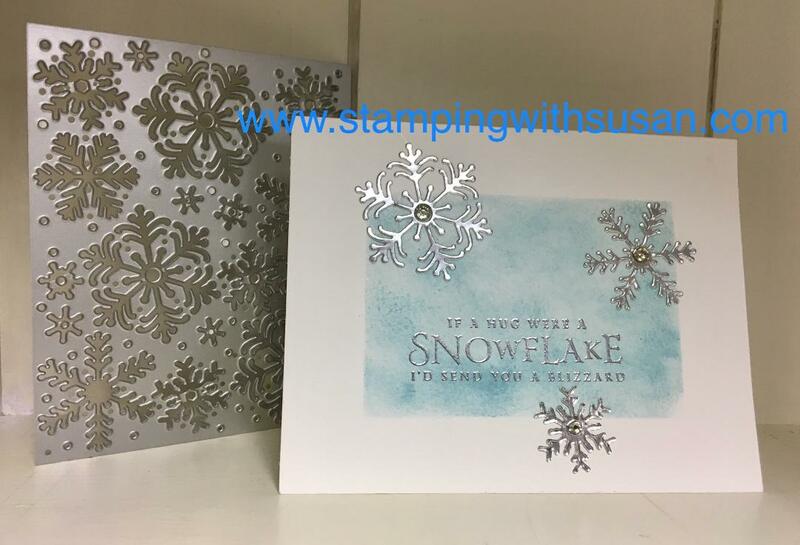 I die cut the snowflakes in Silver Foil paper and heat embossed the greeting with Silver embossing powder. 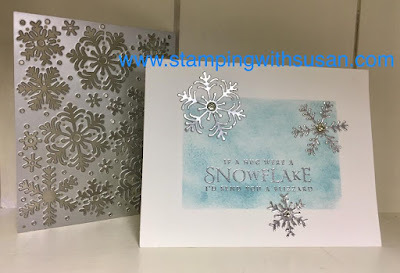 I added Rhinestones to the center of each snowflake. I like the simplicity of this card.